Let us help you brighten up your smile with in office whitening! We understand that, for many, the thought of going to the dentist is not something to look forward to. Our mission is to create a pleasant, safe environment that will allow us to provide a positive experience through quality care, education and communication. We strive to develop personalized care for each individual to help maintain a healthy mouth and overall well being. 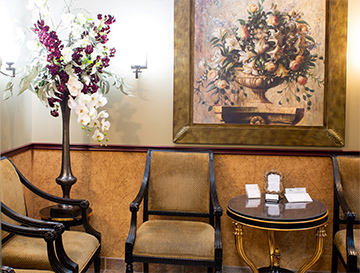 When you arrive at our dental office you will experience all that modern dentistry has to offer, including a comprehensive list of general, restorative and cosmetic dental services to meet the needs of the whole family. Our goal is to assist each patient in achieving and maintaining long term dental health and a beautiful smile. 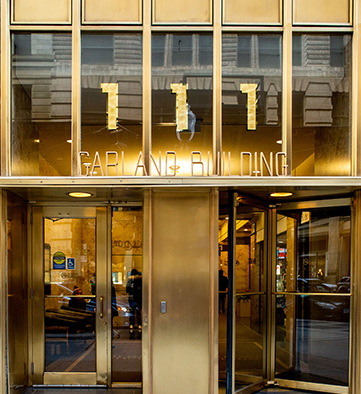 Call (312) 332-4424 to Request Appointment! Part of our commitment to serving our patients includes providing information that helps them to make ore informed decisions about their oral health needs. This website is a resource we hope you’ll find both useful and interesting. Please browse through our website and be sure to contact us if you have any questions or would like to schedule an appointment. You may also use our online appointment request form to schedule your appointment. We are able to improve your smile with quick, painless and surprisingly affordable treatments. Teeth whitening is a simple, non-invasive treatment used to change the color of teeth and is an ideal way to enhance the beauty of your smile. Prevention includes regular dental exams, cleanings, and x-rays; sealants and fluoride are also great preventive treatments. Invisalign clear braces are an effective and discrete alternative for adults and older teens. Whether you are missing one tooth or complete arches of teeth, we can determine the best restoration to renew your smile. Dr. Beaty is an awesome Dentist! She also has a terrific Team of assistants who go above and beyond to make all patients feel comfortable. I would probably be the youngest person in history to have dentures if it wasn’t for Dr. Beaty. My family and I have been going to Dr. Beaty for over 20 years. I was looking for a pediatric dentist and when I called the office to make an appointment for another dentist, I was informed that Dr. Beaty had taken over the practice. I was assured she was great with children and she definitely did not disappoint! Dr. Beaty and her staff are excellent with children. My son was 3 and my daughter was 8 when we became patients of Dr. Beaty’s and since that union, my children have always looked forward to going to the dentist. Dr. Beaty – as well as her entire staff – have awesome personalities, terrific bedside manner and just overall kindness and concern for their patients. I have never been to a more dedicated, compassionate dentist who deeply cares about preserving your teeth. Dr. Beaty has always explained all treatment options, procedures, and the costs involved for those procedures. DB Dentistry follows-up with their patients to make sure there are no complications from procedures and that the patient is doing well. Even when she referred my children to the Orthodontist for braces, she made sure to check on their progress and to make sure we (especially the children) were comfortable with her referral. Dr. Beaty made sure that the excellent care her office provided was also being provided by her referral. To add to the excellent patient care, the amenities offered are above and beyond – from the chair massage, to the paraffin hand wax, to the warm neck wrap, to the mellow music. Feels more like going to a spa instead of seeing the dentist. Over the years, I have referred many family members and co-workers to Dr. Beaty and they remain patients. While Dr. Beaty is not an in-network dentist through my insurance, it is WELL worth the few dollars more to have peace of mind, comfort, and awesome care. I often think, I called looking for a dentist and gained a well-trusted and most respected friend. My family loves Dr. Beaty and DB Dentistry. They are THE BEST!! Naturally I spent the weekend on FACEBOOK sharing your artistry! The results are still unbelievable! The transformation is literally life-changing and I can't begin to thank you and your team of professionals enough for making it happen. What I appreciate most about your dental practice is your focus on the future. Rather than scold a patient for poor past dental care, you work with the patient to build better habits going forward. I also appreciate your efforts to relieve patients’ anxiety about visiting the dentist. Some days the hot neck wrap, paraffin hand dip, or just the pleasant view turn a stressful experience into a relaxing one. 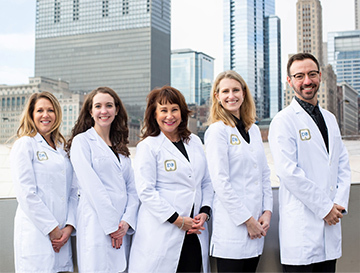 Chicago dentist, Deborah L. Beaty, DDS, of DBDENTISTRY is a dental professional dedicated to general, family, and cosmetic dentistry with services including dental exams, dental makeovers, teeth whitening, veneers, crowns, x-rays, cleanings, and more. 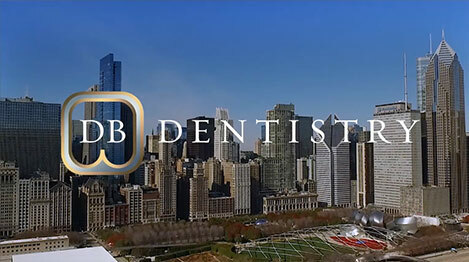 Please call our dentist in Chicago, IL to schedule your next appointment.